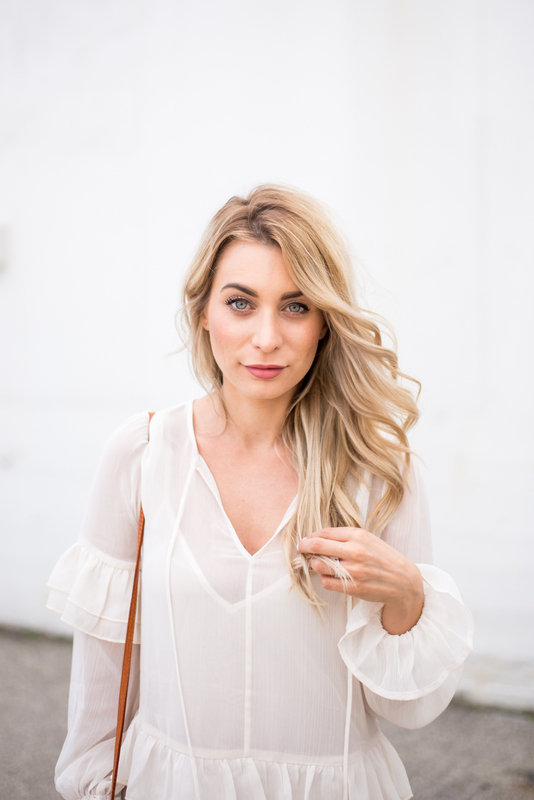 OOTD - Summer Whites | La Petite Noob | A Toronto-Based Fashion and Lifestyle Blog. Even though I'm a firm believer against the whole 'no white after Labor Day' rule, there really isn't quite a better feeling than wearing white in the midst of summer. 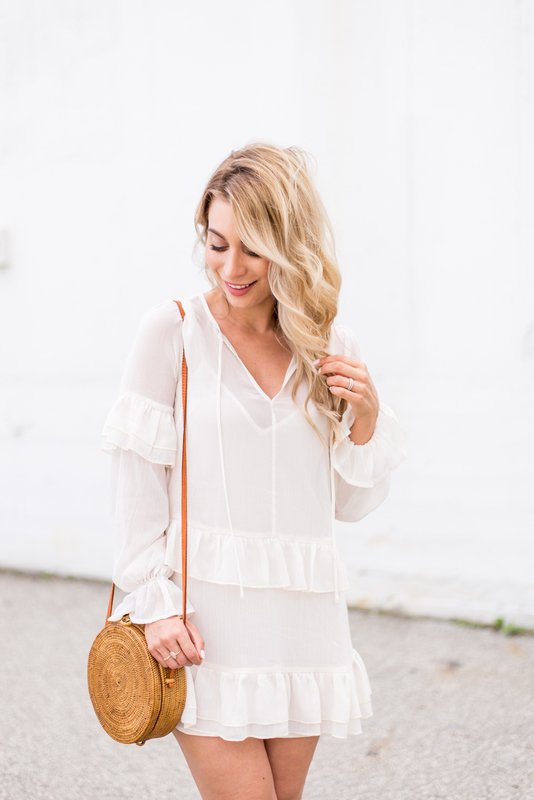 A sheer, white, ruffled mini dress just screams summer to me, and this beautiful piece from Tularosa via Revolve totally fits the bill. I love how the sheer fabric adds to the romantic vibe of the dress, and the shorter hem makes it perfect for flat sandals (although I couldn't resist wearing the dress with my favourite heeled mules here.) This is what dressing in the summer is truly all about. Is anyone else as obsessed with woven bags as I am? Be it straw or wicker, I can't get enough of this summer trend. I have fallen head over heels in love with this woven bag from an Etsy seller EllennJames, it adds such a fun touch to any outfit and surprisingly fits all of your essentials and more! I'm also so into the price point of these summer bags, as it's a welcome change from expensive leather designer purses. What do you guys think? Do you wear white all year 'round, or prefer to wear it in the summer? Have you tried the woven bag trend yet? Let me know!